Not long ago I was told that ” historically there weren´t so many women in art and women working as artists”. That is a false statement. Since art history is a patriarchal construction, women as in many other contexts has been excluded. I´am part of a project called Femart inititated by Jåanna André and Johanna Ivstedt. 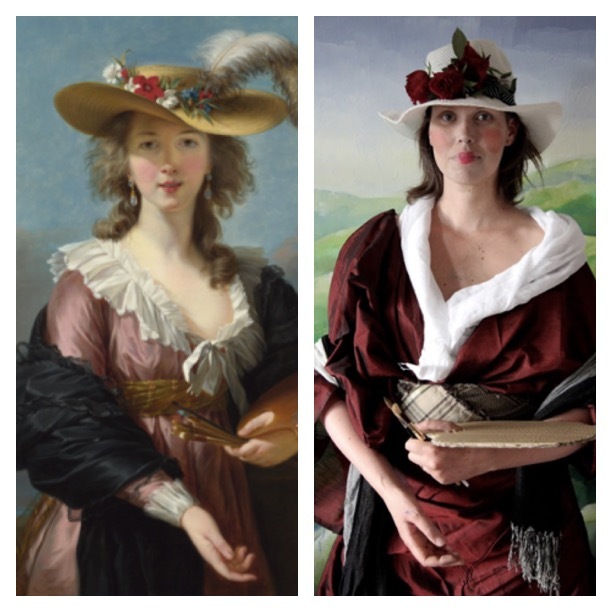 I made parafrase of the self portrait by 1700 French painter Elisabeth Vigée Le Brun. My method was performative and a reenactment of the portrait. The only rule was that I could only use material that I found on the specific site (my apartement) where I was.